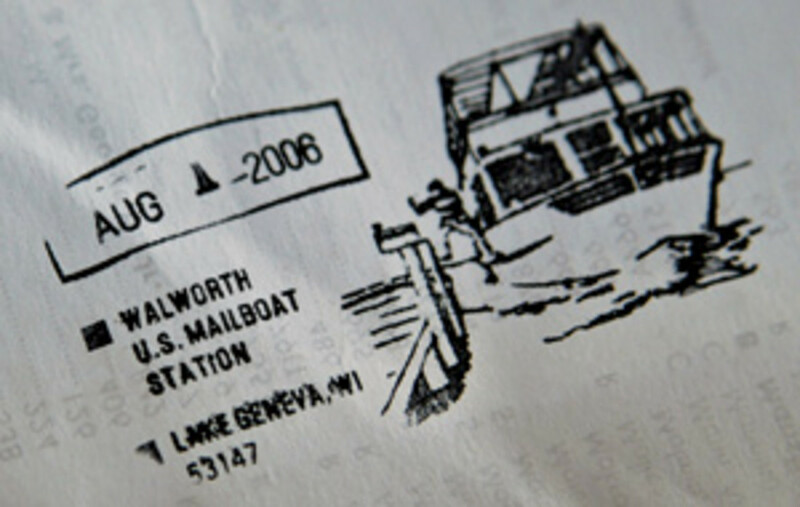 Outgoing mail gets this Walworth stamp-a keepsake and a collector&apos;s item. The job is somewhat coveted locally—and Friestad says, "The tryouts have become a pretty competitive thing." He never advertises for the position, as he prefers to give the opportunity to kids who currently work for him. Last year 15 high school and college students tried out for the job, and eight were hired. Although only one mail person works each day, Friestad likes to hire more people than he needs. Rotating jobs keep everyone busy—a mail person one day might bartend on a dinner cruise aboard the fleet&apos;s refitted steamboat the next day and act as crew for a charter aboard its 41-foot Feadship the next. Most return each summer, and many have other family members who also work for Lake Geneva Cruise Line. Take Peters: Her two older brothers work for the company, and her mother also takes a few shifts. The flexibility and camaraderie keep people coming back. Just ask Friestad, who&apos;s been with the company since 1961. There were 16 people working for him back then; now there are more than 90. Friestad&apos;s first job with Lake Geneva Cruise Line was driving boats—including the mail boat, which he says was a single-screw back then. I&apos;m imagining how difficult that must have been as I watch Frame expertly maneuver the Walworth between a swim platform and a dock to get Peters close enough to jump. Her shoelace comes loose on the way back, but fortunately it&apos;s a short pier, and she has time to stop and tie it. 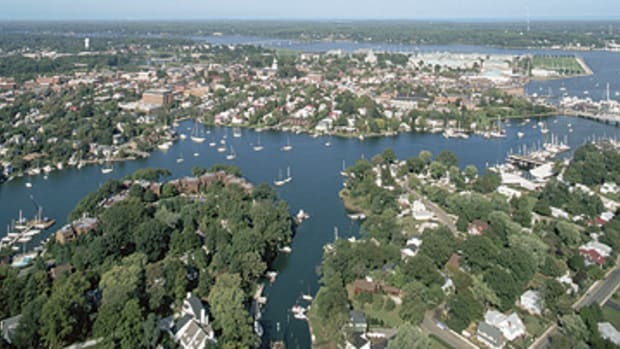 The passengers watch with awe as she breezily hops on the back of the boat, climbs through the window, grabs a microphone, and begins giving a narrated history of the lake that will continue throughout the tour. I notice that she doesn&apos;t even break a sweat. But a few houses later, I really get to see how Peters&apos; athleticism got her the job that these kids are vying for. As we approach a particularly long pier, she climbs out the window and positions herself for a jump. She starts running as soon as her feet hit the boards, and I notice that the mailbox has been hung all the way at the end of the dock. Just as I am about to comment on the maliciousness of the homeowner, Peters grabs the mail and starts running toward land. Frame seems unfazed, but everyone else onboard is puzzled—bringing to mind a football game where the player intercepts the ball and runs it in the wrong direction, accidentally scoring for the opposing team. 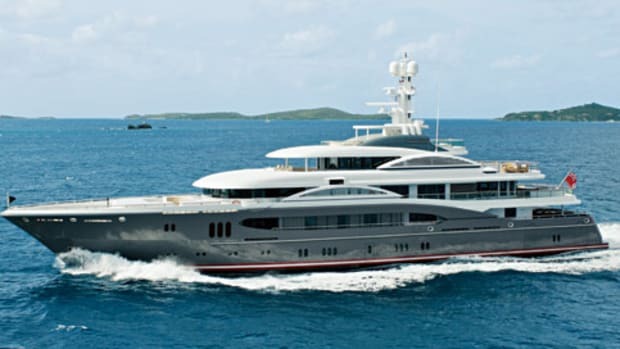 She turns to run parallel to the boat along the shoreline and crosses through another yard. As she starts towards the pier two houses down, we realize she&apos;s got another delivery that the boat can&apos;t get to. The crowd starts cheering as Peters empties the mailbox, races down the pier, and jumps onto the back of the Walworth just as Frame cruises past. I watch her with mouth agape and think, "Now this girl has got the coolest job ever." 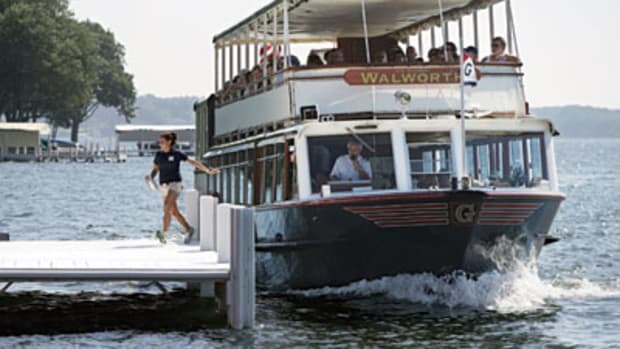 I think I might have laughed out loud when Harold Friestad, manager of Lake Geneva Cruise Line, suggested using Lorelei, this restored 41-foot wooden Feadship, as a chase boat for a photo shoot of the Walworth. First of all, most chase boats we use are small fiberglass runabouts. Second, I’m a wooden boat nut and had been admiring Lorelei since arriving in Lake Geneva. But since she wasn’t the boat I was there to research, I tried to control myself. The interior of the Feadship, which was built in Holland in 1954, has been restructured to create a more comfortable environment for day chartering. 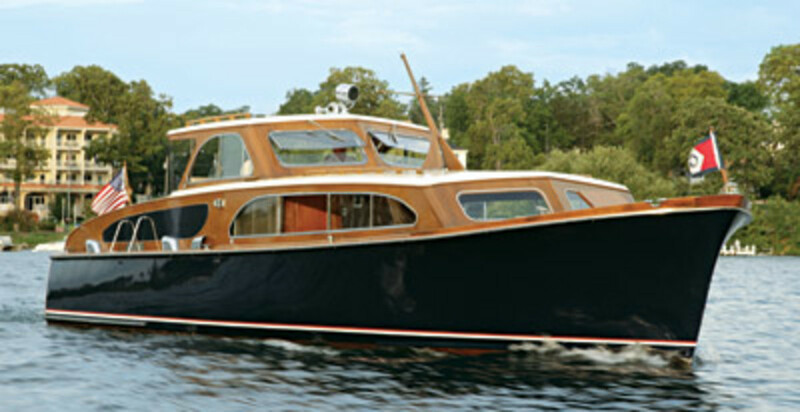 Her open layout, with just a head and wet bar, make her a perfect choice for an afternoon or evening cocktail cruise. 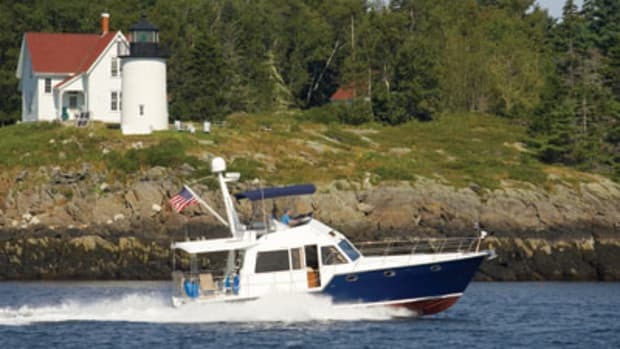 Lorelei and Walworth are two of an eclectic group of eight charter boats in the company’s fleet, and there’s not a brand-new one in the bunch. 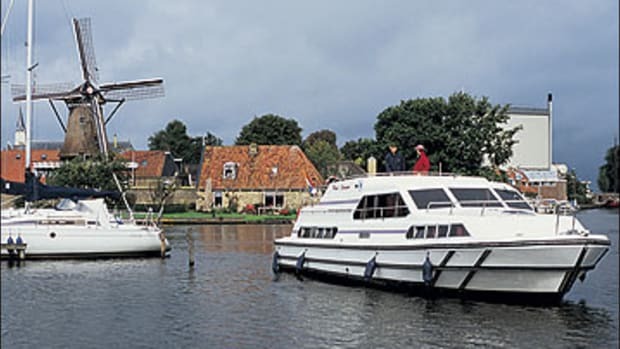 Others include two stern wheelers, a steam yacht, a steam-powered dinner boat, a motor launch, and a 1898 converted yacht, all of which have been beautifully restored. The family-owned company, now in its third generation, takes great pride in these vessels. And nothing could add more charm to a historical tour of Lake Geneva than being aboard a boat with a history all its own.—E.M. 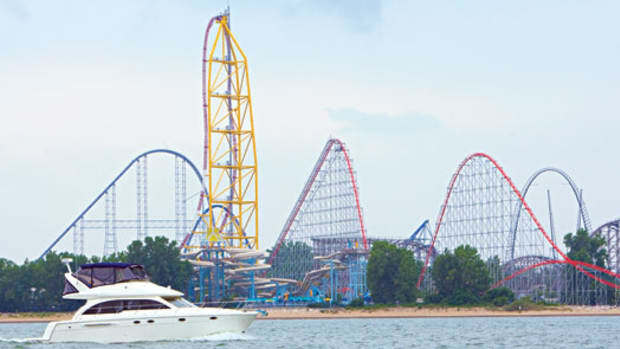 This article originally appeared in the May 2007 issue of Power & Motoryacht magazine.